john4jack (Corvallis, Oregon, United States) on 6 March 2013 in Landscape & Rural and Portfolio. I would hang this on my wall anyday. Lovely. 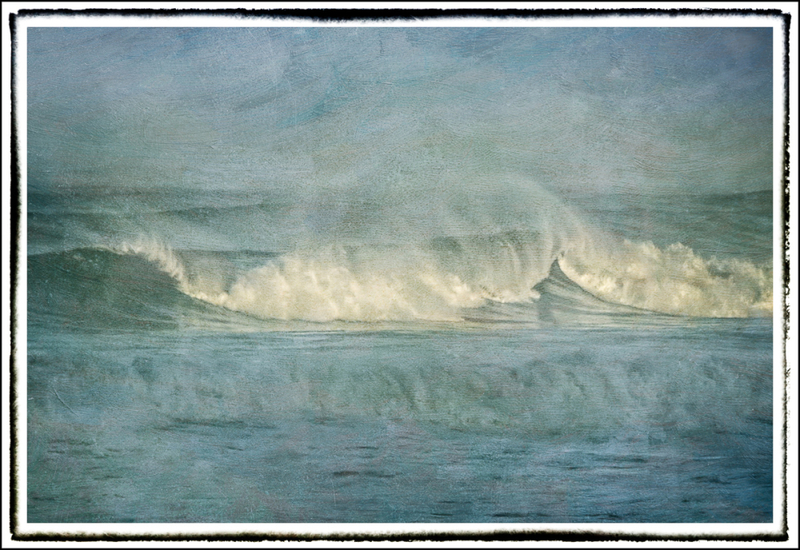 the texture works really well with the breaking wave! Sure has successfully crossed that line into 'Art' - if ever there was a line. A beautiful image with superb processing! Love the tone-on-tone coloration and your artistic texture work. Wonderful textures combined with the spray! Splendide, une magnifique création. Bonne journée. I love the soft tones and colour. Great details in the wave and I love the warm sun on the white crashing water. Very nice! The wave almost glows! Lovely painterly composition, Jack. So delicate and exquisite! Fantastic rendering! The style and subject reminds me a bit of Winslow Homer. Beautiful composition and wonderful processing. Excellent - the swooshing textures really compliment the waves. The texture suits so well, superb result ! Ah yes ! Splendid re-creation. Just like a light veil ! Beautiful ! Fantastic! I like the treatment a lot. 5***** j'adore +++ ton traitement! superbe! another gorgeous shot ,jack ! Wonderful processing matches the sun swept beach feeling perfectly. Your wonderful personal touch for rendering this image as a beautiful painting. Fabulous. I love the texture on this. Oh, Jack! How beautiful. This is just awesome and inspiring. What a beautiful treatment! Fantastic shot! great use of texture , looks like a painting !